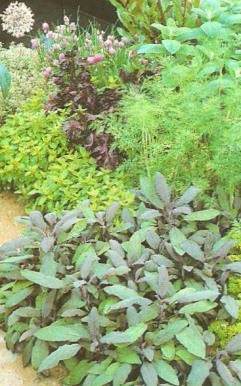 Planting herbs is a must do activity in my vegetable garden. I wouldn’t think of growing vegetables without herb plants being present. The benefits of a herb garden are immense. Gardeners often state that herbs can drive away pests. And I must agree. 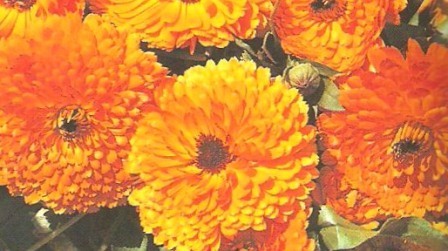 My leafy vegetables show less signs of damage from pests after I intercropped the French marigold herb amongst them. The tomatoes as well showed less bite marks on them. They gave the comfort of knowing that the garden is being secured against these pests. As a backyard gardener I know that space is something that’s very limiting. We simply don’t have the land to grow all the herbs, vegetables and flowers we want. And for those of us who live in the cities, the lack of land space is even worse. So I guess we may have to choose to grow at least one type of plant. (Either herbs, vegetables or flowers). I consider myself lucky. I do have space to grow a kitchen herb garden consisting of both herbs and vegetables. But I also grow a potted herb garden or container herb gardens on occasions. I recall the day I genuinely fell in love with herbs. It was my birthday (I won’t reveal my age) and to celebrate I went to a deluxe Italian restaurant with my significant other. The waitress took our order of vegetable lasagne and went to the back. She emerged soon after with the appetizers. It was slices of Italian style bread pasted with a garlic spread and sprinkled with herbs. After my first bite I was immediately hooked. I even wanted to replace the order of vegetable lasagne with more of the bread and garlic spread. (But I didn’t. The restaurant was porch so my manners had to be at their best). I recall telling my significant other that I was going to make room for herbs in the garden. I wanted to start a culinary herb garden. If you like having friends and family over for dinner as much I do, then you’ll love planting herbs. I’m currently still growing herbs and wishing I had more space to expand the garden. I’m thinking of striking a deal with my neighbour. Maybe I can use his backyard space for planting herbs and giving him a portion of the harvest in return. I really wished my area had one of those community gardens. (Maybe I should stop complaining and start one). Nonetheless, I’ll continue growing herbs gardens annually for the benefit of my vegetables and also for that added flavor in my cooking. You can also have a look at freezing and storing herbs.